It was an action-packed Sunday with multiple six-figure scores and some of online poker’s biggest names taking their talents to big-money final tables. One of the largest payouts of the day went to Germany’s ‘Wild_Smurf’ who took down the PokerStars Sunday Million with an outright win for $140,572.39. The tournament drew 5,202 runners creating a prize pool of $1,040,400 allowing everyone at the final table to earn no less than $11,782. Belgium’s ’francais50’ settled for second place and a healthy $98,647.39. PocketFiver ‘BenjaminChalot’ made his way to the final table, laddering to seventh place for $16,790.28. With the score, the Hungarian just eclipses $600,000 in lifetime earnings. 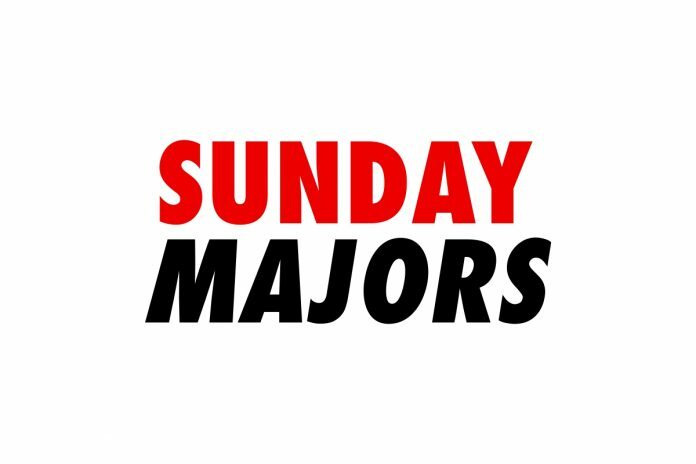 Usually, the winner of the Sunday Million is the day’s biggest winner, but this Sunday PokerStars was also running Bounty Builder special editions of some of their High Rollers. This led to Argentina’s Ivan ’Negriin’ Luca combining his winnings for his victory in the $2,100 High Roller SE Bounty Builder #4 for the biggest haul on Sunday. He earned $72,909.23 for the win and another $92,671.87 in bounties or a total of just over $165,580. Finishing right behind Luca was former top-10 ranked player ‘ekziter’. He walked with $55,485.96 (+ $17,281.25 in bounties) for his single largest payday of 2018. ‘GlobalHappiness’ celebrated a victory in the partypoker $2,600 Super Sunday High Roller, winning $57,000 for the win. He defeated one of the best Russian players on the planet in Arsenii ‘josef_shvejk’ Karmatskiy who settled for second place and $39,000. The cash is his largest score since taking third place in Powerfest Event #97 for over $64,000 and puts him up over $2.8 million in career earnings. Joining the final table of this one was the world’s #4-ranked ‘C Darwin2’ from Sweden. He captured fifth place and added $14,000 to his $10.8 million in lifetime scores. The Swede is on pace to hit $11 million by year’s end. The partypoker $1,050 Sunday Bounty Hunter High Roller pulled in 211 runners and exceed the $200K guarantee with its $215,220 prize pool. ‘Dextered’ ended up with all the chips and $21,511.45 (+ $26,341.26 in bounties) for first place. A pair of top 10-ranked player also made the final eight as the #1-ranked player in the world ‘lena900’ (‘Drulitooo’) finished in eighth place adding $2,426.50 to his already $12.3 million in lifetime earnings. Lasting one extra spot was ‘Ariados’ who also took down a major tournament on 888poker. In other partypoker action, ‘MaXiMiSpkr’ defeated the 213 runners in the $1,050 Sunday Main Event High Roller for over $43,000. Also, ‘BOOMALOOM’ made a deal in the $215 Sunday Main Event for $26,195.58. The runner-up, ‘LordPiasonG’ took him $23,356.53 in the deal. A pair of Swedish crushers made a deal in the 888poker $60,000 Whale. The #7-ranked player in the world ’Madeon1994’ (aka ‘Ariados’) took home the top prize of $20,054.90 and officially gets the win. His countryman ‘creutz93’ finished as the runner-up, earning nearly $3,000 more than the posted second place, walking with $18,385. ‘creutz93’ is currently ranked 107 in the world. Argentia’s #1-ranked pro Ramiro ‘Ramiro’ Petrone bested the 314 runners that registered the $100,000 Sunday Mega Deep. The #10-ranked player in the world won $19,500 for his second five-figure cash this week. He climbed up over $4.25 million in lifetime earnings with the victory. ‘Baistipoika’ finished as the runner-up earning $14,500 and PocketFiver ‘wisimaki’ captured the bronze for $11,000.